T-Pain is gearing up for the release of his next studio album 1Up, which is expected to arrive sometime this year. In anticipation of the project, the Tallahassee native has released a handful of songs including his Everything Must Go series. 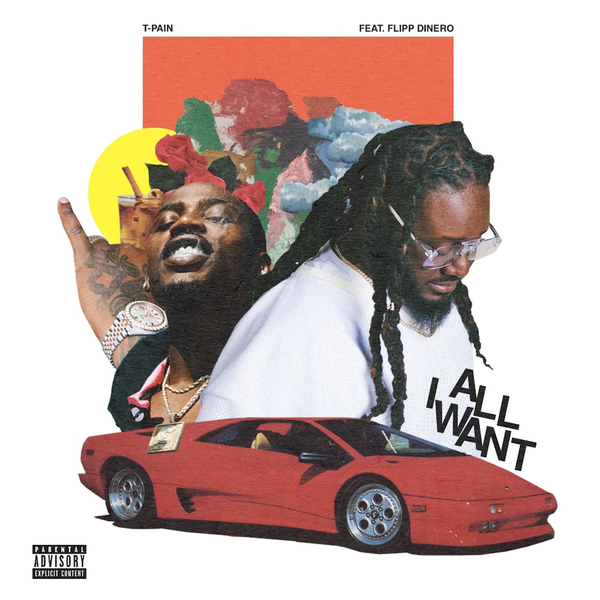 Showing no signs of slowing down, Pain delivers a new song titled "All I Want" featuring labelmate Flipp Dinero. The Bishop Jones produced track serves as the second official single from 1UP, following 'Getcha Roll On' with Tory Lanez. "1Up" will be T-Pain's first-full length LP since 2017's Oblivion.